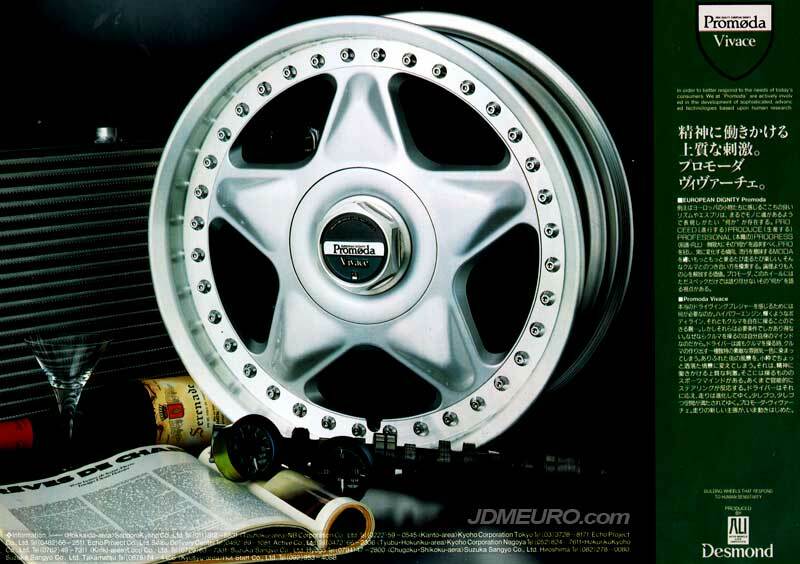 The Desmond Promoda Vivace are JDM Wheels that are not made in Russia. Desmond are famous for making the Regamaster model that was the only wheels they made in Russia, but not these. The Desmond Promoda Vivace feature a five spoke star design with hidden lug nuts and a hex center cap. The Desmond Promoda Vivace feature 3 piece costruction with exposed hardware.